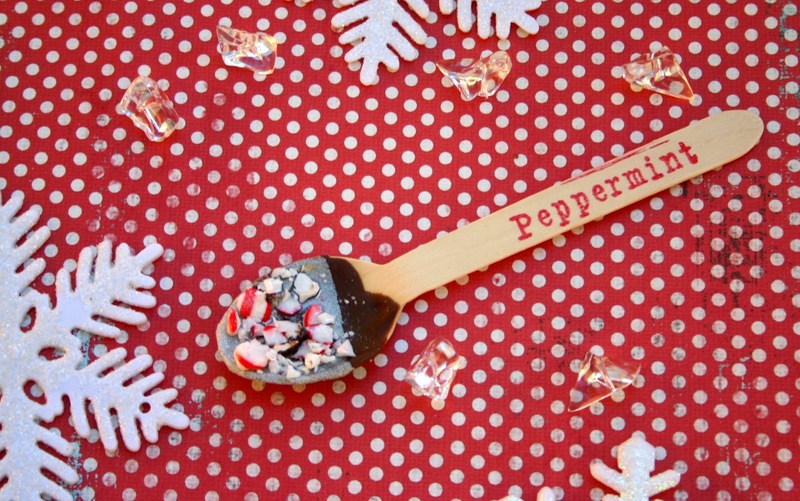 Time to cozy up with a cup of hot cocoa in front of a crackling fire, and enjoy the season!! 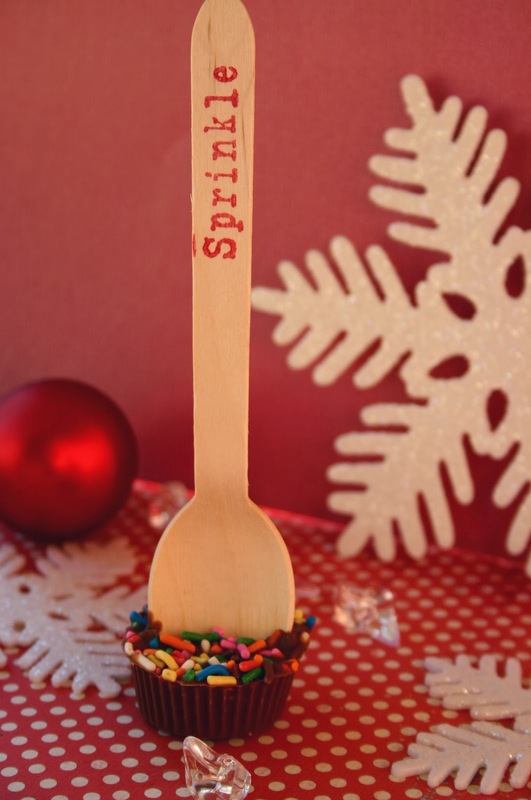 I made these chocolate covered cocoa spoons for my brothers wedding. 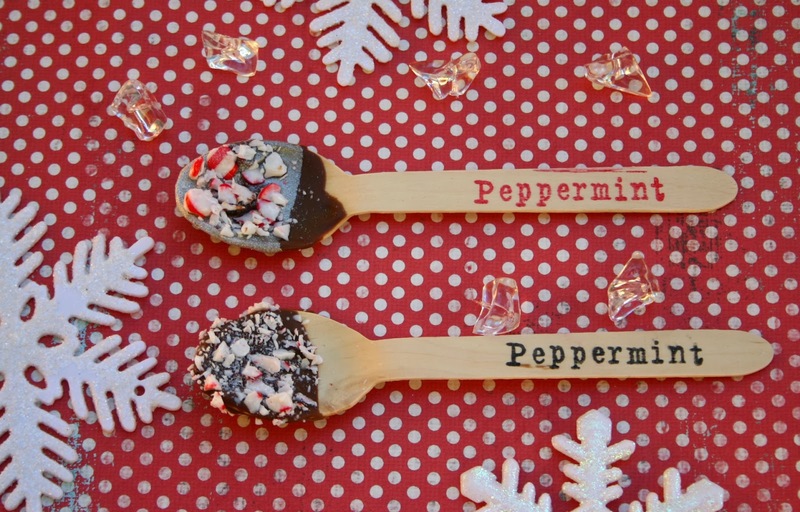 They had a cocoa bar with lots of fun toppings and these chocolate covered stirring spoons. We made several different options hoping to please the crowd! 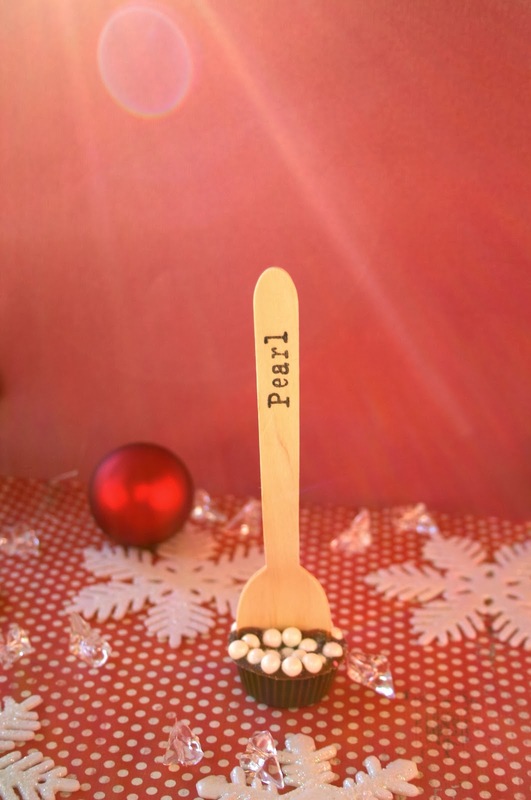 I purchased wooden spoons online, then hand stamped the names on each handle. 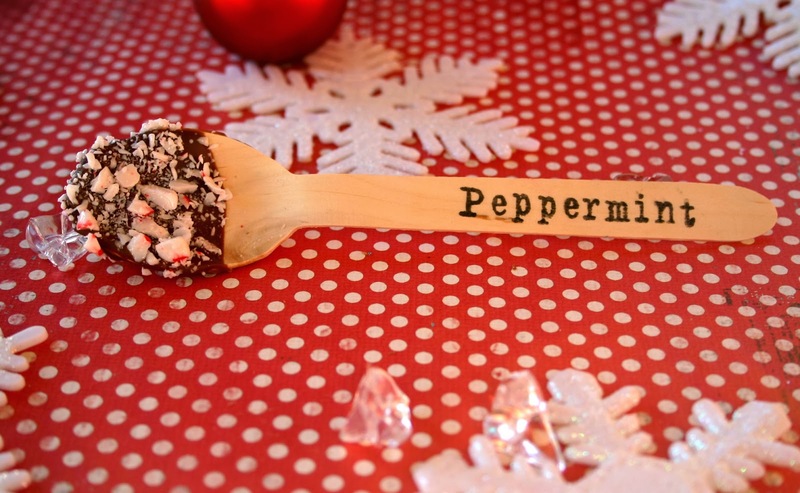 Dipped them in chocolate then added candy canes, sprinkles and edible pearls. Then placed them in the freezer until they set up. 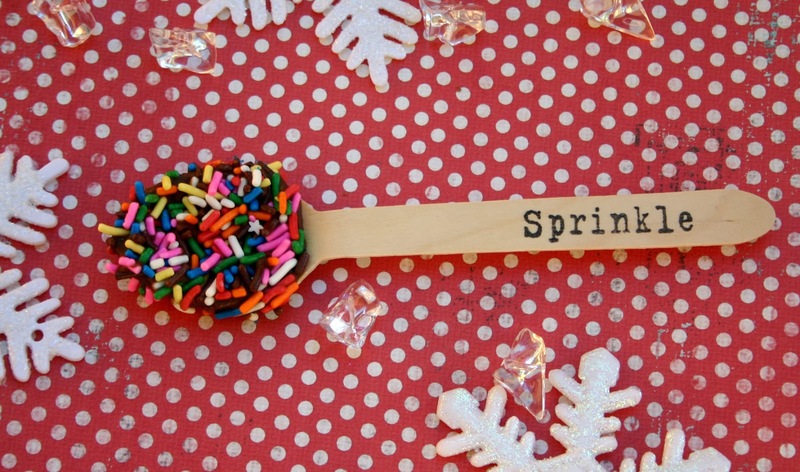 They were super easy to make and turned out really cute! After the reception we had a few left over that we popped in the freezer for later. They lasted several months too! 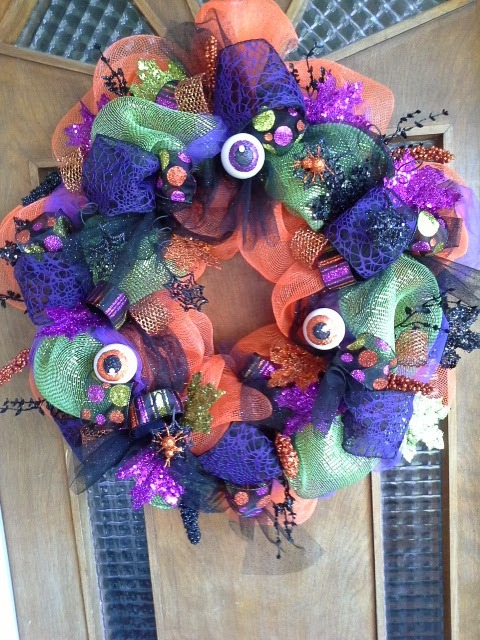 Here are 2 wreaths that I made for Halloween last year. 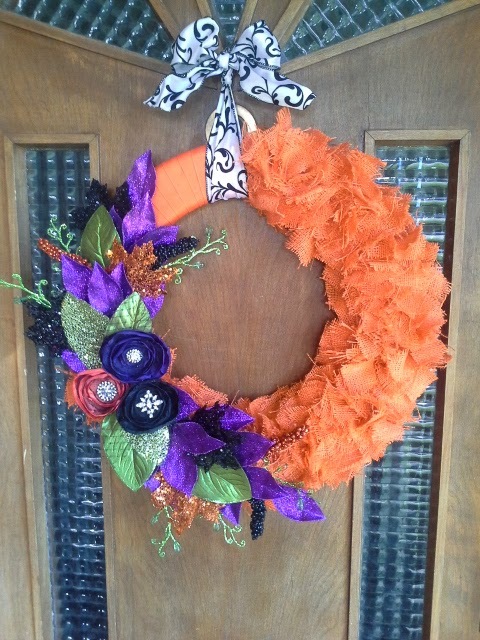 I have been making quite a few deco mesh wreaths lately, they are fun and easy to make!! This wreath is made with burlap and floral picks.Very time consuming but I think it turned out great! My life is a little bit crazy sometimes. Who's isnt? 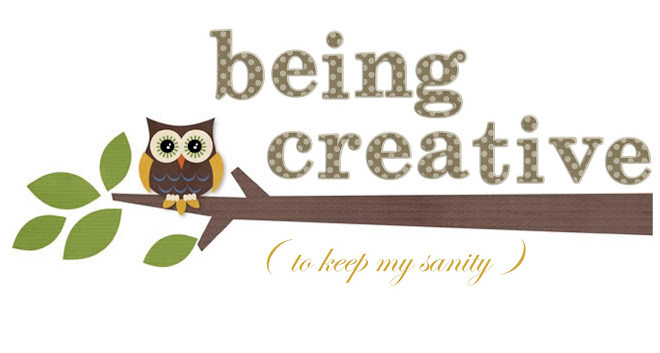 I love to get away by scrapbooking, crafting, reading and cooking. Okay so maybe not so much cooking but you've got to eat, right? 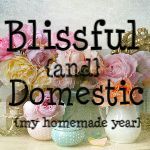 I hope you enjoy my blog!